Few designers create containers as artfully as the Stockholm-based duo Broberg & Ridderstråle, whose designs include cube and rectilinear planters. This set of planters is characterised by sides that taper inwards and upwards from the base, meeting the upper rim at an inner point, making the upper part of the frame visible while concealing the lower half. By making the frame visible, it creates a wide rim and provides handles. 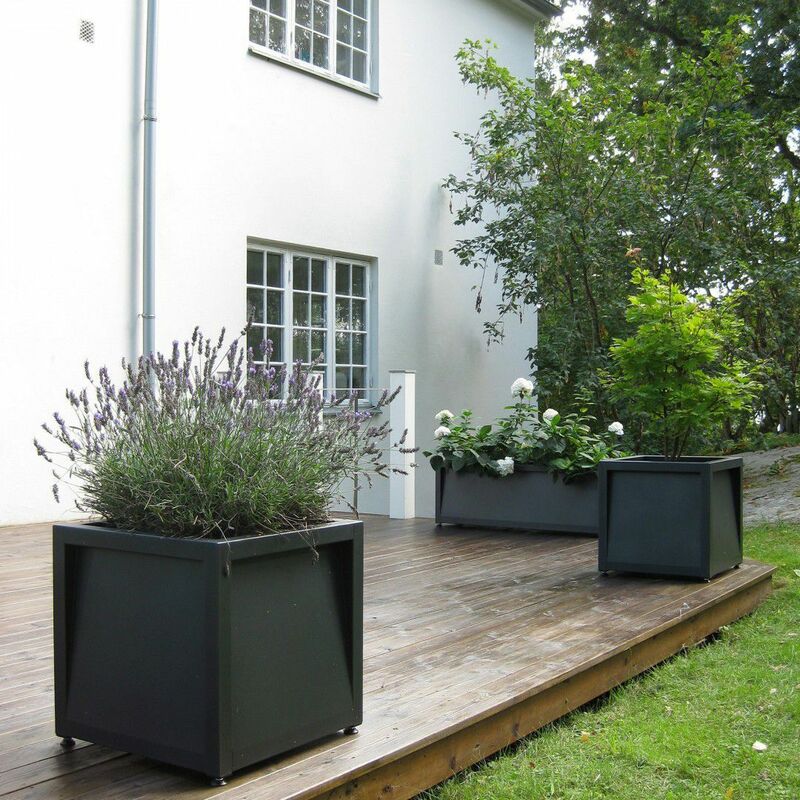 The planters have an eye-catching trompe l’oeil effect that may trick the eye, but not the hand.